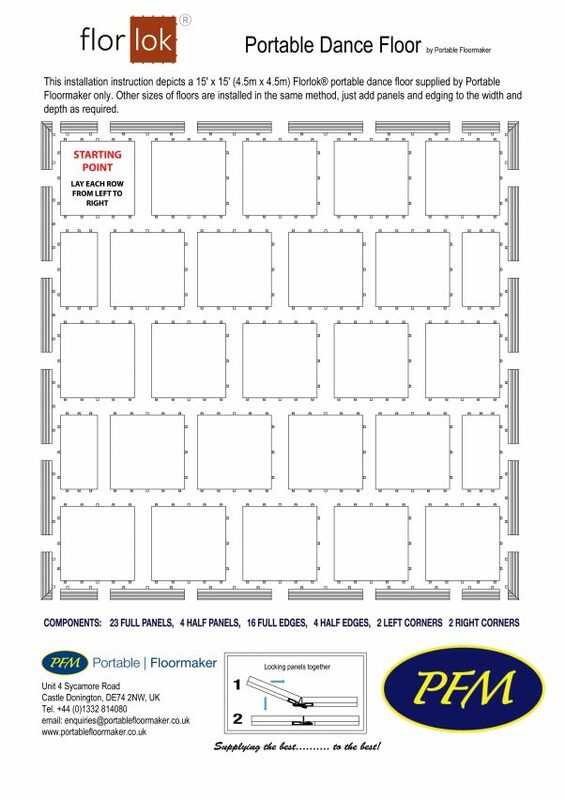 Portable Floormaker is the ONLY place you can purchase the true Florlok® branded portable dance floors. 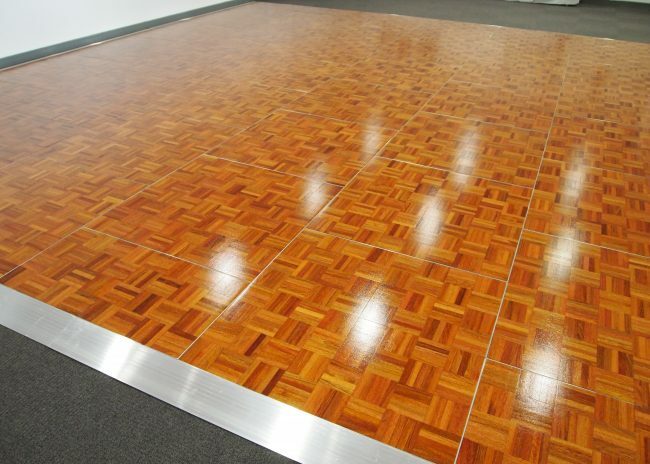 Others are just copies and we do not agree that other makes of parquet floor are comparable or compatible with Florlok® due to the materials used and the production process which includes three full coatings of high-quality lacquer. 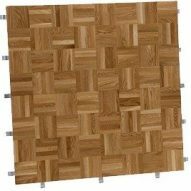 In recent years and unlike some competitors, Portable Floormaker has ensured that all of our parquet material is sustainably sourced. 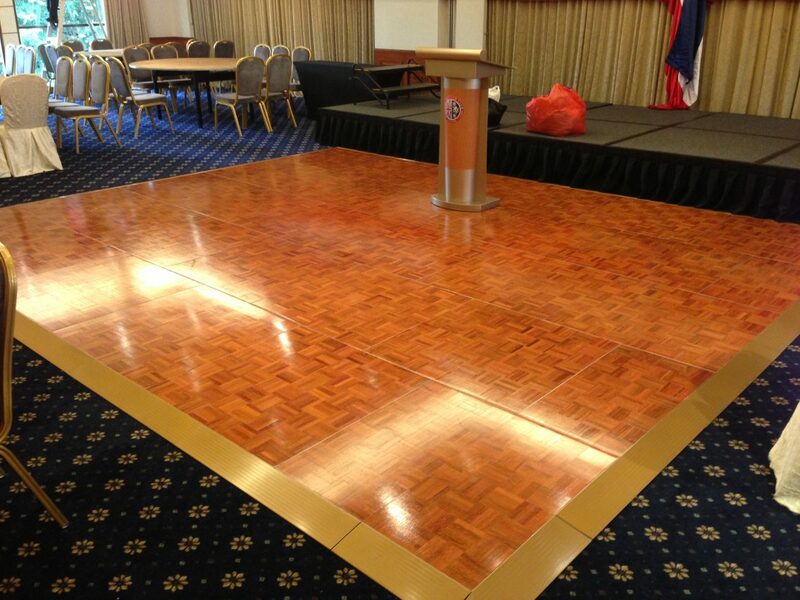 We import our Jatoba hardwood directly from South America into Europe together with our UK Timber Merchant partner who strategically source tropical and temperate hardwoods for the Jatoba supply. 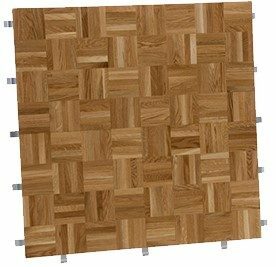 For our Light Oak and Smoked Oak parquet supply we have partnered with a well respected Polish based supplier who has the capability to engineer both Oak and Jatoba raw material into the parquet sections to exacting tolerances with an upgraded netting to ensure the parquet is kept in shape during production. 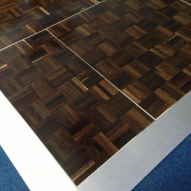 As our customers are no doubt aware, parquet wood is a natural product and as such variations in colour of individual pieces of parquet within single panels is possible due to the amount of sap held within the wood itself. 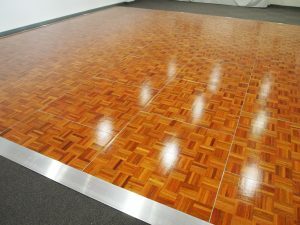 These variations in sap wood ranging from light to dark, offer the characteristics of parquet that is known and loved. 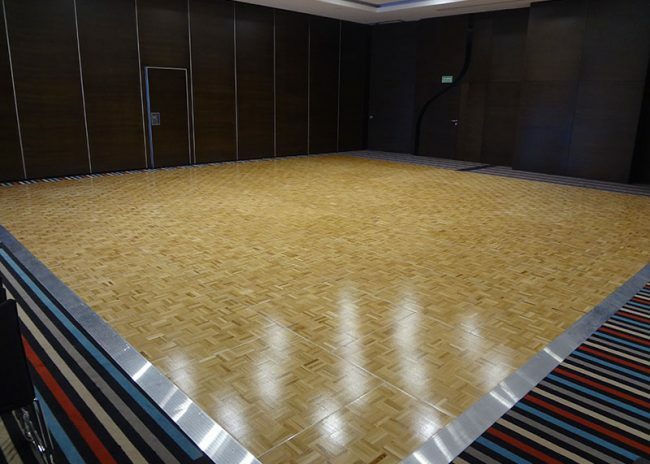 The Jatoba parquet specifically will continue to darken over time but all wooden dance floors are susceptible to moisture and climatic variations which means they should not be used in any environment that produce very dry and hot or damp and high moisture conditions. 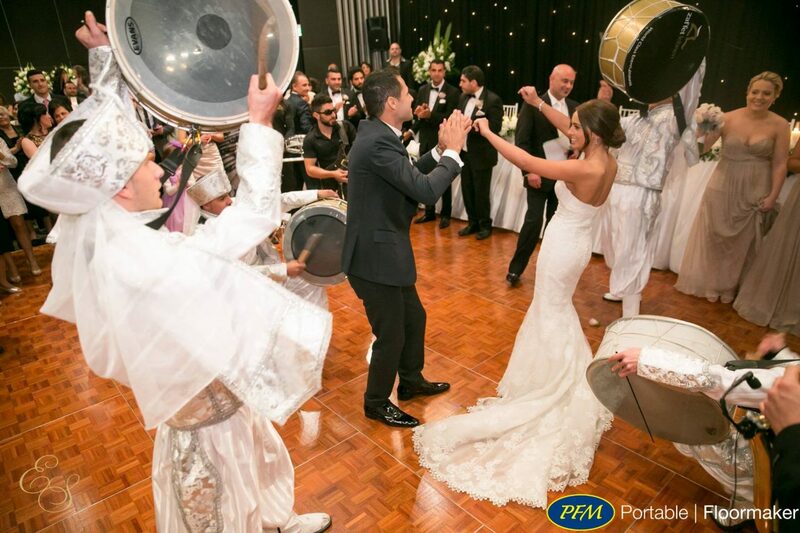 The newly designed storage and transport solutions for all of our portable dance floors offer a more elegant and stylish product with tubular construction rather than a box section frame and a sliding tray for the floor edging allowing easier access and reducing the health & safety risk of injuring the operatives hands on a typical wooden box solution. 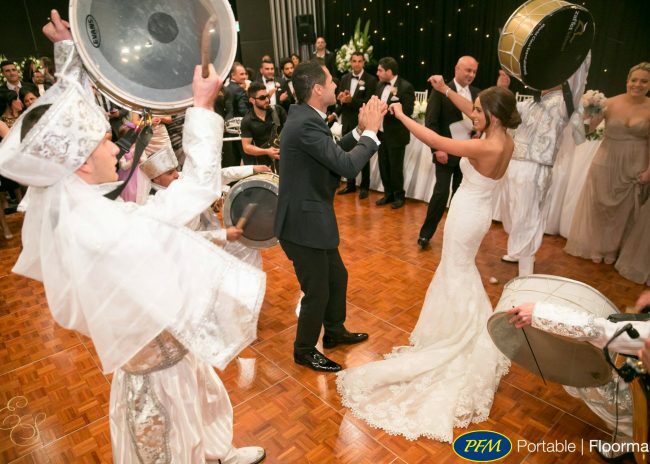 This portable dance floor is ideal for hotels, rental companies, restaurants, caterers, event organizers, venues, trade shows and weddings for indoor use. Caddies are delivered fully erected, not flat packed! This richly coloured hardwood is known both as Brazilian Cherry and as Jatoba. 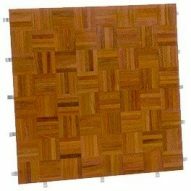 Although it is not technically a cherry wood, it is like cherry in certain respects. It is, like American Cherry, photosensitive and will darken over time. 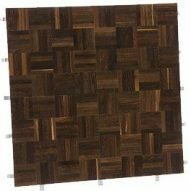 The colouring of this exotic hardwood is very distinctive, characterised by a lustrous range of deep reds, burgundies, and darker reddish browns, making it an extremely decorative hardwood flooring with the appeal of the exotic. 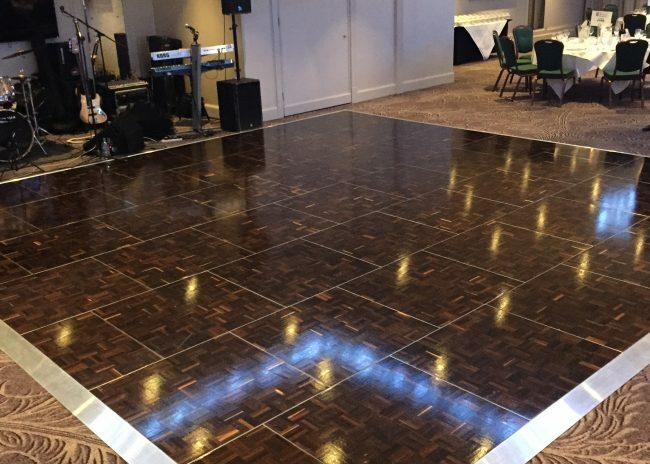 The wood is extremely dense and hard which makes it a very reliable choice for portable dance floor usage indoors. 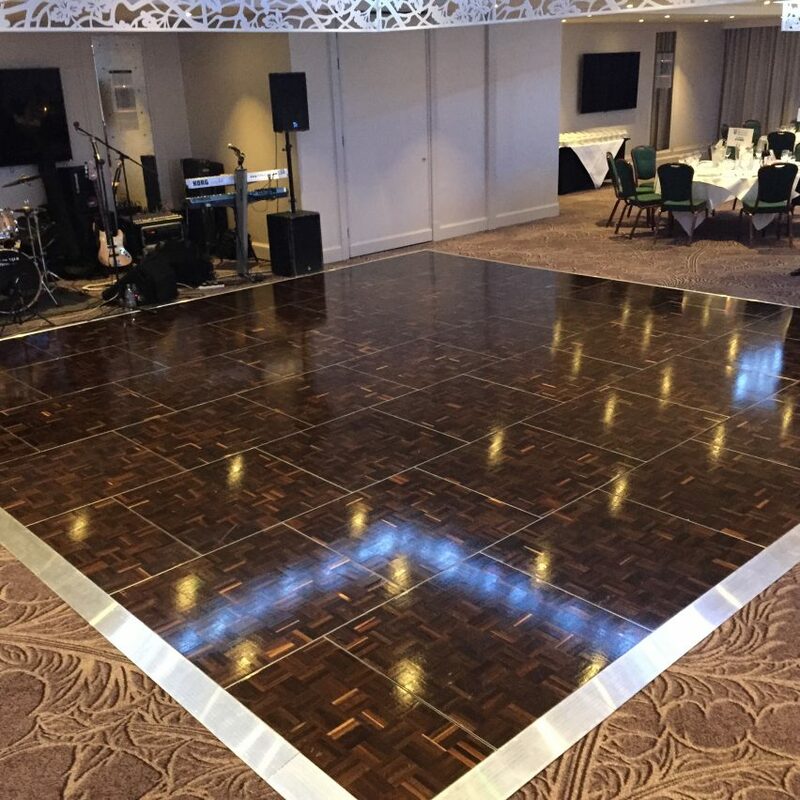 Oak is undoubtedly one of the most popular flooring materials on the market due to its elegant appearance and our distinctive European Light Oak is a light colour with expressive highlights offered by the sap wood makes it an ideal choice for a more modern looking portable dance floor which will enhance the aesthetics of any venue or function suite. 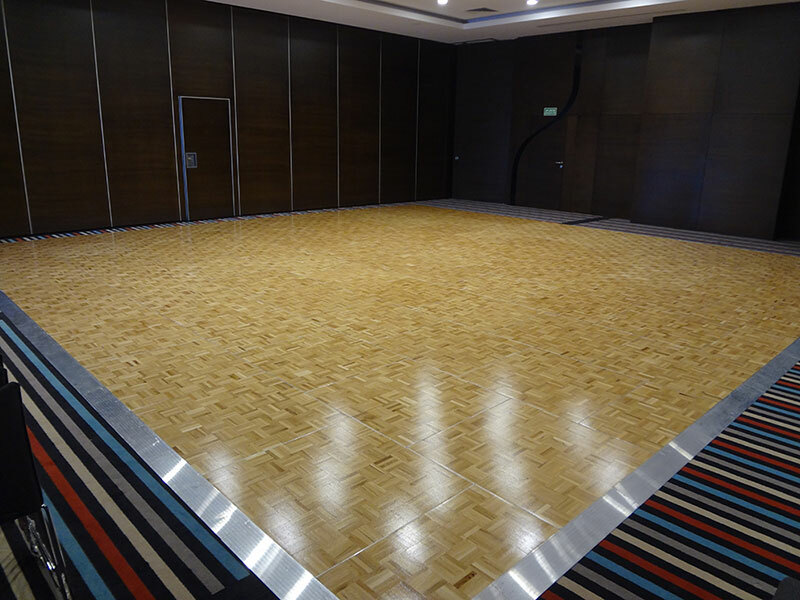 Although not as dense as Jatoba, Light Oak is slightly lighter in weight and Light Oak performs well as a dance floor surface for indoor use and storage. 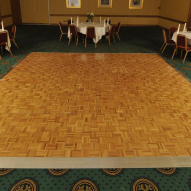 Utilising the same European oak material, Smoked Oak is a derivative of the Light Oak panels. 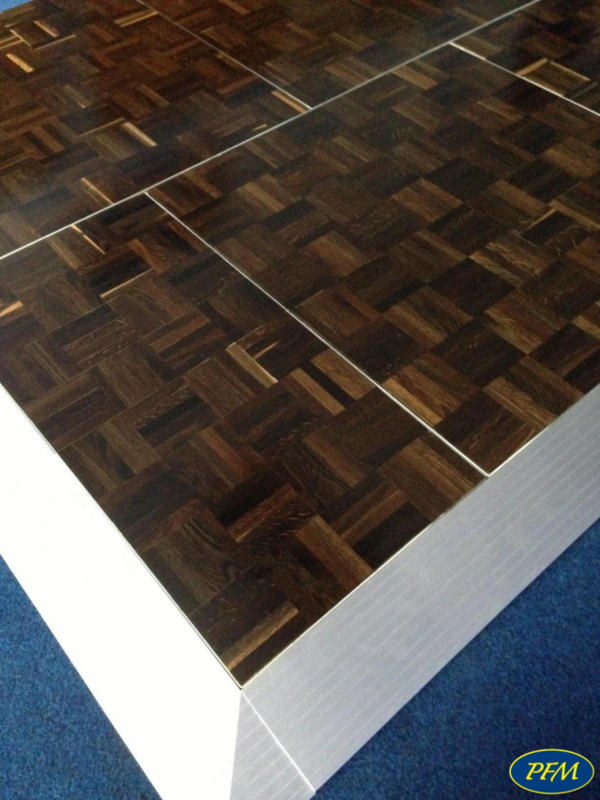 To achieve the high quality, dark glossy appearance the light oak material is smoked with an ammonia based substance in wood curing ovens for about 28 days. This ensures that the colouring is fully absorbed in to the wood rather than just a thin surface covering such as a dye colour would offer. 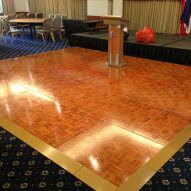 The resulting aesthetics are not like any other portable dance floor surface that we have seen on the market to date. 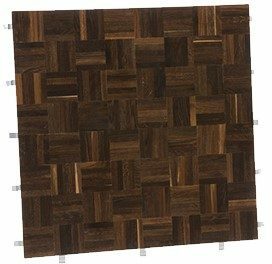 Florlok® Smoked Oak will set you apart from your competition!